Dr. Atkins lists the remarkable details of Hamilton’s career: Associated Press correspondent in Washington, D.C. during World War II, Birmingham News reporter, history professor at Birmingham-Southern, the University of Montevallo, the University of Alabama at Birmingham, and the University of Alabama, author of numerous books of history and memoir. She focuses on Hamilton’s legacy as a pioneer — the second woman to earn a PhD in history from the University of Alabama — and a historian who presented a unique take on Alabama history in her innovative text Alabama: A History, which recounts the stories of sociological groups who most impacted the state. A fitting tribute to a remarkable woman. We mourn her passing but celebrate her legacy. 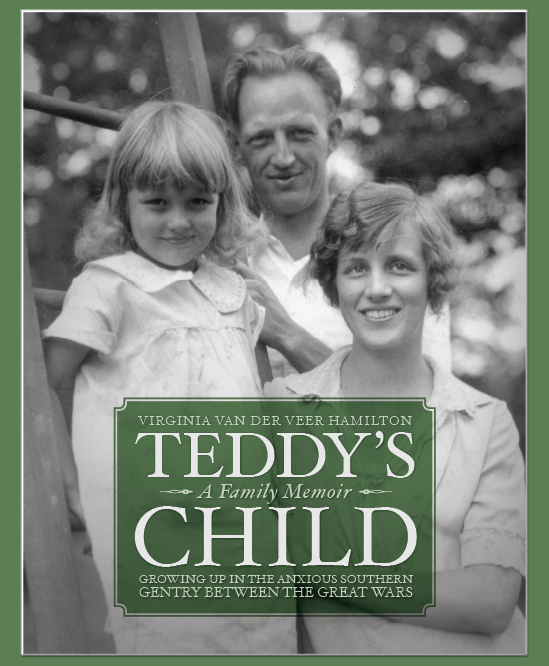 Teddy’s Child is available from NewSouth Books. Our good friend and esteemed author Frye Gaillard has just won the Eugene Current-Garcia Distinguished Scholar Award, which was presented at the Alabama Writers Symposium, held annually in Monroeville. The award recognizes “scholarly reflection and writing on literary topics.” Nominations for the award are made by recognized scholars in the field and reflect the respect of the winner’s peers in the academic community. This award is the latest for Frye, one of the most respected journalist-historians working in the Southeast today. His previous honors include the Lillian Smith Award for non-fiction, the Clarence Cason Award for non-fiction, and the Alabama Library Association Book of the Year Award. From left: Alisha Linam, Director of the Alabama Center for Literary Arts; Roger Chandler, President of Alabama Southern Community College; Al Head, Executive Director of the Alabama State Council on the Arts; Dr. Edward O. Wilson, 2016 Harper Lee Award Winner; Frye Gaillard, 2016 Eugene Current-Garcia Award Winner; Armand DeKeyser, Executive Director of the Alabama Humanities Foundation; and Jeanie Thompson, Executive Director of the Alabama Writers Forum. Frye continues a limited tour presenting about his recently released book, Journey to the Wilderness: War, Memory, and a Southern Family’s Civil War Letters — a powerful work that is a personal inquiry into how the Civil War has shaped our Southern identity. 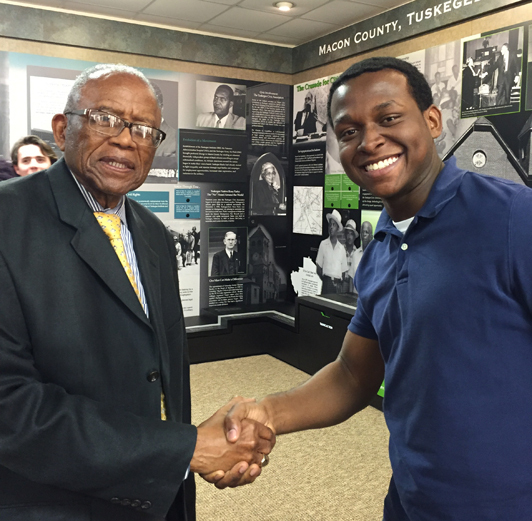 He is one of NewSouth’s most in-demand speakers. A writer in residence at the University of South Alabama, Frye is the author of more than twenty books, including The Books That Mattered: A Reader’s Memoir and Watermelon Wine, both published by NewSouth, and Cradle of Freedom: Alabama and the Movement That Changed America. Look for Frye’s first book for middle-schoolers, Go South to Freedom, coming this fall from NewSouth Books. The book retells a story he heard from an elderly friend, the great-grandson of slaves, that has never been published before. Congratulations, Frye, and continued publishing success! Journey to the Wilderness, The Books That Mattered, and Watermelon Wine are all available from NewSouth Books or your favorite bookstore. You are currently browsing the NewSouth Books weblog archives for April, 2016.